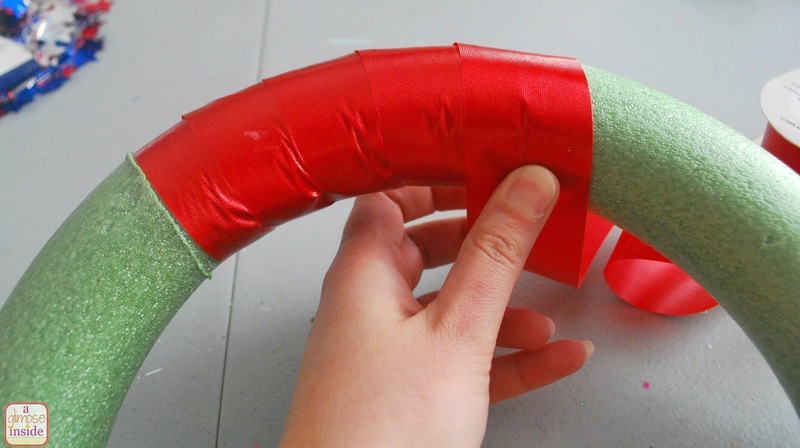 To start, hot glue the ribbon to the wreath form and begin to wrap the ribbon. 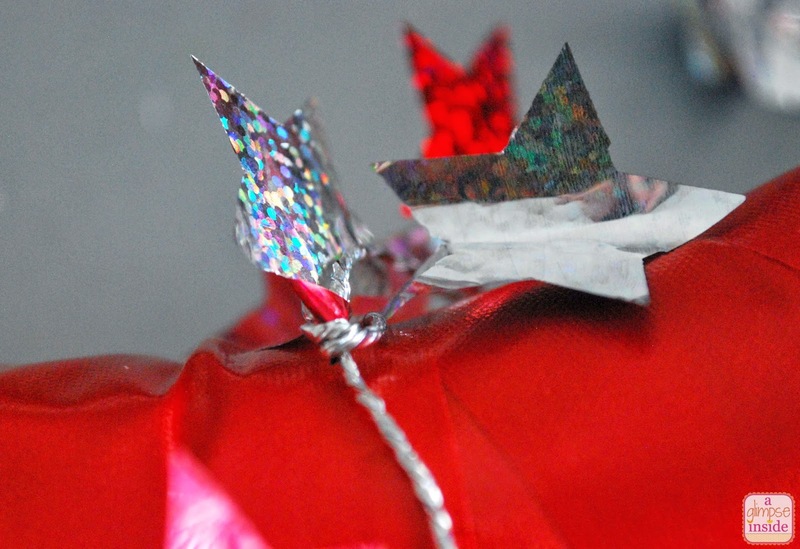 Slightly overlap the ribbon and pull tight as you go. 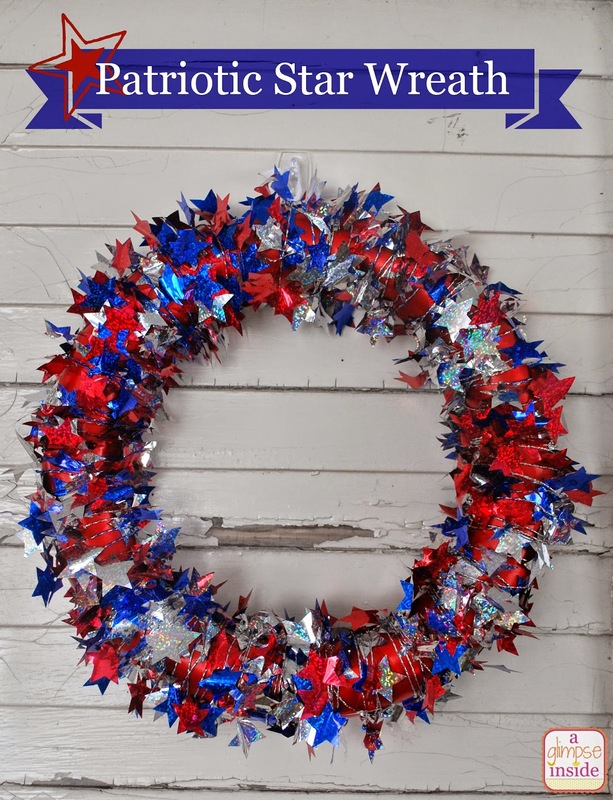 Continue to wrap your wreath until it is completely covered. 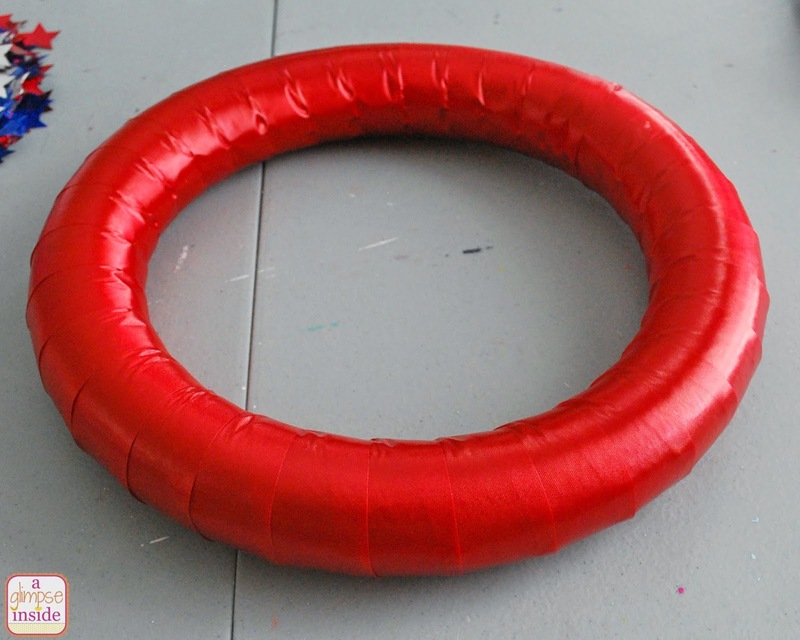 Just hot glue the end down. Time to start the garland. 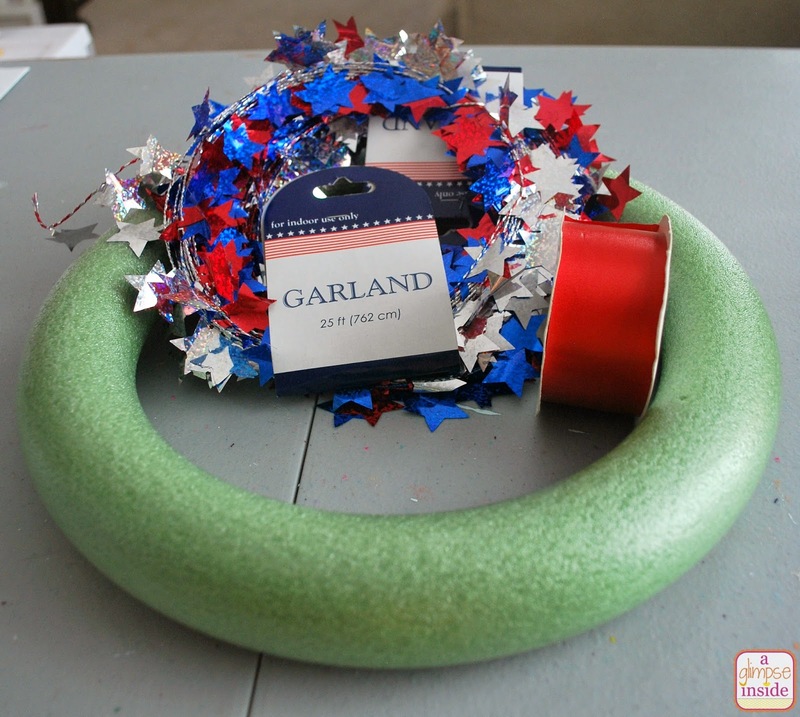 Since the garland has wire in it, just take the end of the wire and wrap it tightly around the garland wire. 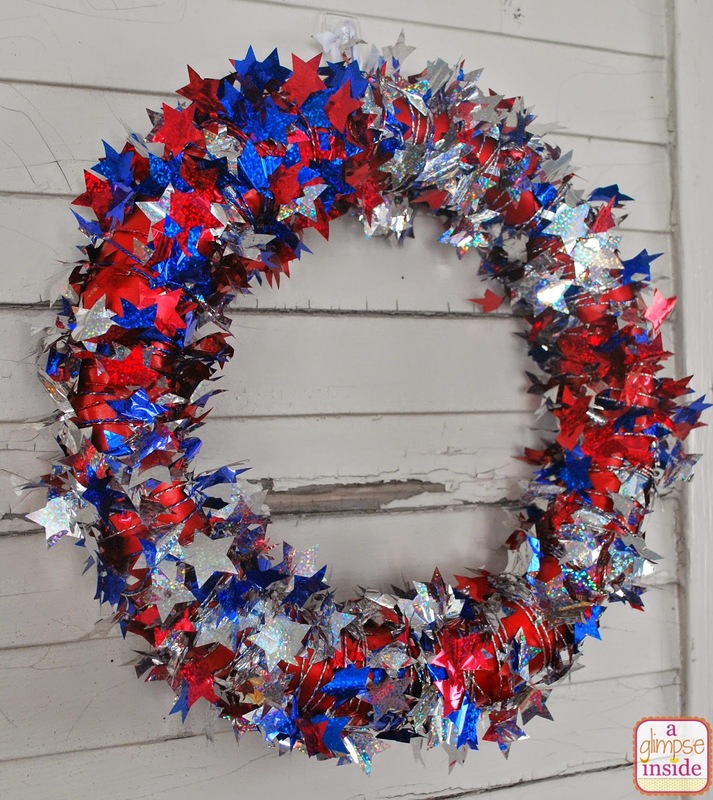 Wrap the garland around the wreath form trying not to overlap any of the stars. 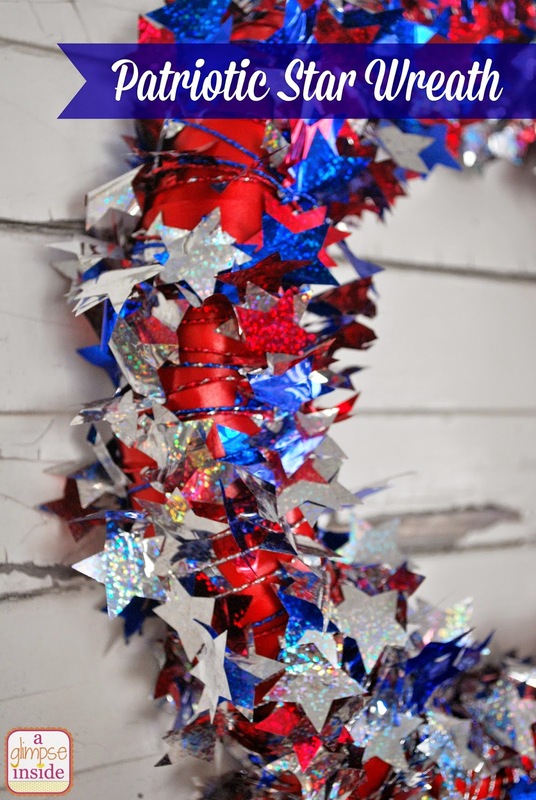 Once complete, you can fluff the stars and move the wire to any areas the look a little sparse. I then just tied a small ribbon around a few of the wire pieces on the back side for hanging. 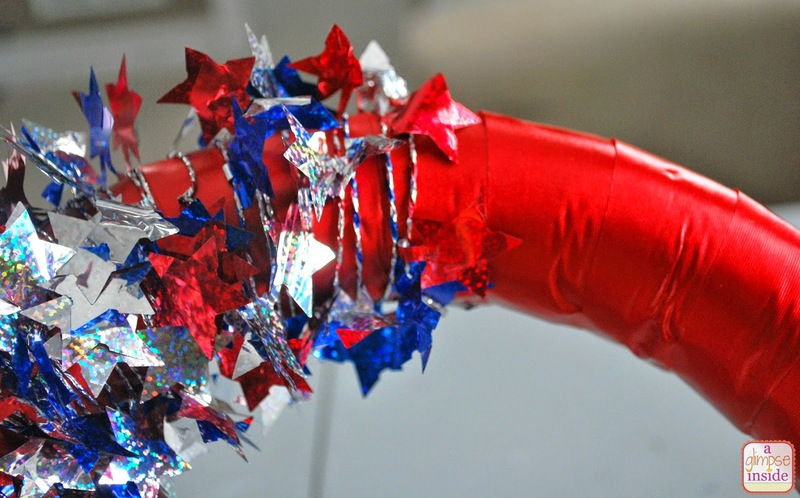 You could always use white ribbon to wrap the form, it may make the stars pop more. 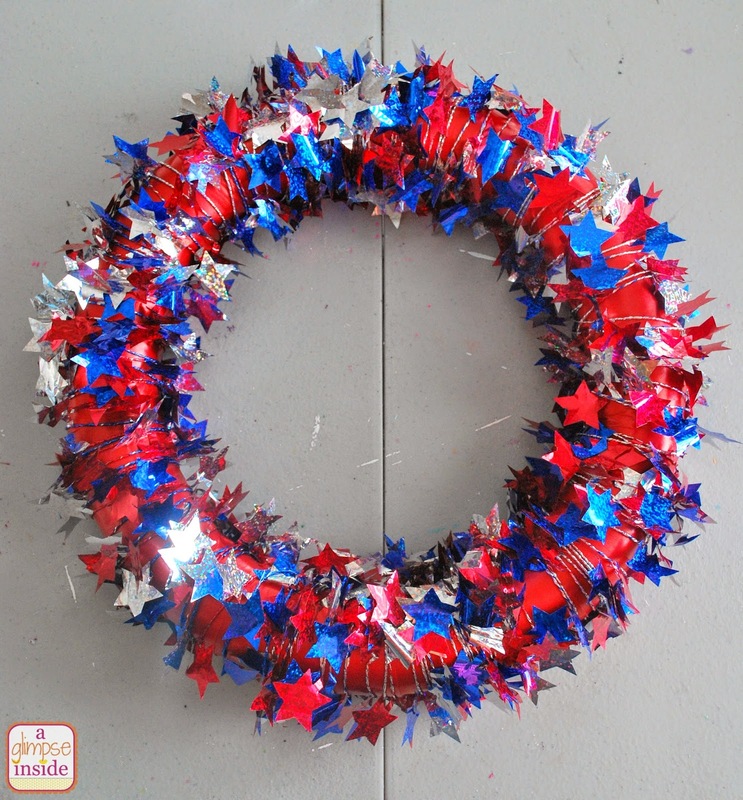 You could also embellish the wreath a little more if you'd like as well. Totally up to you!